G Michael Salon in Noblesville, Indiana is thrilled to find out that we were nominated for four categories in this years Indy A-List Contest by City Voter. 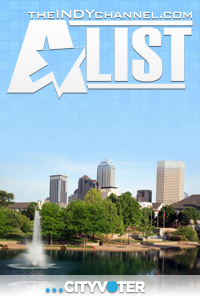 Each year, the City Voter(Indy A-List) website launches a mega contest with over 157 categories of Indy’s ‘Best Of’ business and services (ie. Shopping, Auto, Weddings & Food and Drink) in which Hoosier fans are encouraged to vote for their favorite businesses. Only the leaders of the industry are even nominated to be in the running for this contest, and only the very bestwill take the lead and be named 1st, 2nd and 3rd place winners. We are proud to announce that G Michael Salon in Noblesville, Indiana was nominated for four categories including; BEST hair salon, BEST hair color, BEST waxing and BEST Wedding hair and makeup! Thank you to everyone who nominated us and THANK YOU in advance for supporting us in this contest and we look forward to seeing everyone at the finish line!